world of music technology, dispels common misconceptions in the analogue vs. digital debate, and even has a message for aspiring music technicians and producers. 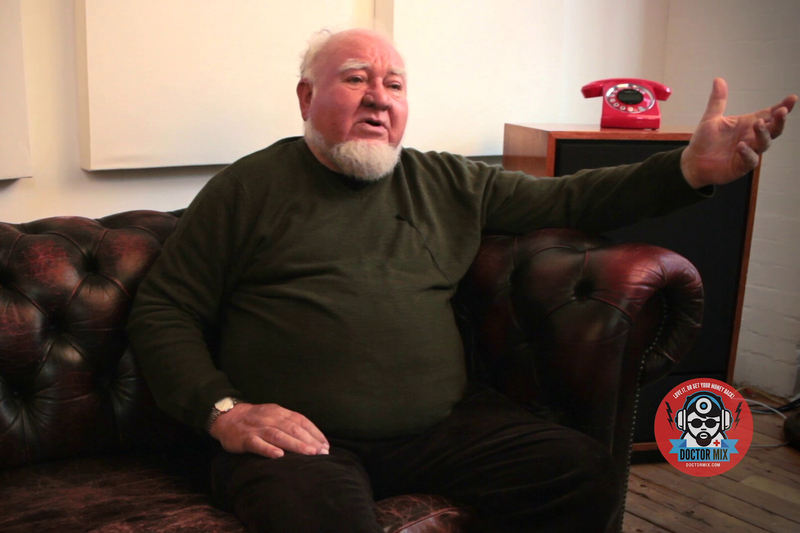 Doctor Mix: Such a pleasure to have you here at Doctor Mix today! Vic Keary: It’s so nice to be here! It’s a lovely room and it’s very comfortable. VK: It’s nice to meet you as well. DM: We’ve been enjoying your equipment for such a long time, and the first question is how did you get the bug? Why are you fixated with music, and to make it better? VK: My grandmother bought me a wind-up gramophone when I was 3 years old, and I never looked back. I just loved records and music and, you know, I just want to make it better as well of course. I was trained as a technician more than a musician, I’m not a musician at all. I was trained as a technician and still am, and I just used that training to invent things and improve things as well, which is always a good thing. For instance I improved an EMI desk back in the 60’s when I was working at Lansdowne Studios. They had a great big red EMI desk and I improved the EQ on it, which is something I like doing, you know? And I like tweaking, I’m a little bit fascinated with it. DM: So of course this world is (I mean the world of music production) is full of people who are just fixated with equipment, and you know there are many misconceptions about analogue and digital and what makes things warm and what makes things cold and all that jazz. 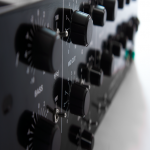 Now, what is the most typical misconception about valves and analogue equipment vs. digital? VK: It’s quite simple. The biggest misconception is that valves distort more than solid state, and they don’t. If you want to make a clean valve amplifier, for instance an Early Bird Mic amp, than it’s the cleanest thing you can possibly get. You can’t get a cleaner mic amp anywhere.  And the thing is apart from having no distortion it actually sounds really natural, whereas as soon as you put solid state electronics in to the equation there is always that little hardness. It never sounds exactly the way you want it to. DM: Wow! Okay, I know that there are a lot of notable artists that have used your equipment, can you just drop some names for us? VK: Erm… Coldplay, obviously. They are friends and use quite a lot of our gear – almost everything in fact. Who else? 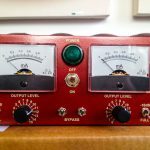 I think Rod Stewart recorded an album with a Phoenix Compressor back in America, Maddona uses a Phoenix… Well we’ve got our gear in loads of studios around the world and I just don’t know who uses it really, its not as if the artists usually buy it from us. DM: How about Primal Scream? VK: Primal Scream certainly use loads of vultures. In fact, of course the other one was Josh Homme. He had a band called Them Crooked Vultures I think it was, be cause that was named after the Vulture (the band name). And Josh Homme was Queens of the stone age. DM: Queens of the Stone Age? VK: Yeah, Queens of the Stone Age definitely. They used Vultures. And of course he actually named his next band after the Vulture. VK: And I’ve heard it was one of the loudest bands ever to have performed! VK: But I couldn’t go to any of that, no! But there you go. Al Schmitt is one of the most famous producers in the world, and he’s got our gear. I mean all over the world. We are distributed in almost every country in the world – apart from South America because you can’t get in there easily due to the governments. But our biggest sales are probably Italy funnily enough (outside of the U.K), Germany and France. And of course America – America is the biggest by far. DM: What is the biggest seller from your repertoire? VK: The one we’ve sold the most of so far has been The Culture Vulture easily. We have made about 2000 so far, and we’ve made about 1000-odd Phoenix’s of different types, I think just over. But The Fat Bustard is currently our biggest seller funnily enough. It’s the most expensive piece of gear we use or we have, but it’s selling extremely well. DM: I sure know about that because I got myself one about 4 or 5 years ago and we use it everyday hear at Doctor Mix. We absolutely love it – we couldn’t do without it in fact! Also I hear that the Super 15 maybe will get some award? Is that true? VK: It has got an award! VK: Yes, yes it has! It won the Resolution Award for Best Signal Processor of 2014. VK: That’s due to be announced officially next week. DM: That’s amazing, i’m so happy for you! Well listen, your company Thermionic Culture is one of the top manufacturers on the planet and you’re certainly an inspiration to many of us in the industry and meeting you is a total honour. If you had one message for the sound engineers and producers who are moving their first steps into the music production game – let’s call it that – one message, what would it be? 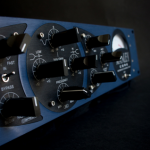 VK: Start with valves, at least a valve mic amp because if you get something really good down to begin with using a real natural sounding mic amp then you know it’s so much easier afterwards. 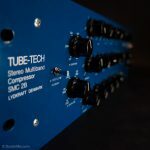 If you have something good down on your DAW or whatever you’re recording on using a valve mic amp then you have got something really good to start with. That’s the point, so you know, make it good to begin with – thats the main thing. DM: Vic, thanks so much! For more information on Thermionic Culture, please visit www.thermionicculture.com.